After more than 170 designers showcased their wares at London Fashion Week here’s a run down of the spring 15 trends that may have an impact on the bridal industry. Romance was most definitely in the air with tulle dresses in floaty layers seen across various collections. Burberry’s designs included gowns in soft tulle pared with a ribbon around the waist complete with a big bow. If this trend translates to the high street consumers may be on the look out for even lighter and more romantic looking dresses when it comes to wedding gowns. Pleats have been given a new lease of life, a long way from the schoolgirl skirt memories pleats can often evoke. Concertinaed fabrics were used on midi, mini and maxi skirts, on opaque materials in hot fuchsia, navy silk and on pleated lilac tops. 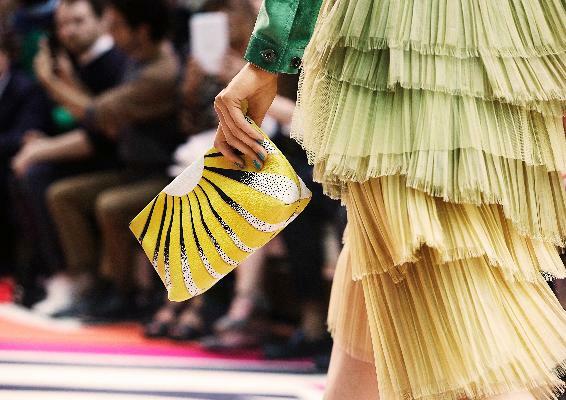 Pleats were seen across the catwalk at labels including Peter Pilotto, J.JS. Lee, Christopher Kane, Barbara Casasola and Margaret Howell. If this trend proves to be commercial, pared back minimalist pleated skirting could be a popular choice for destination wedding dresses or brides on the hunt for a relaxed boho look. Just as brides are starting to gain confidence and experiment with various shades of blush and Champagne on wedding dresses the fashion designers go and flood the catwalk with white! 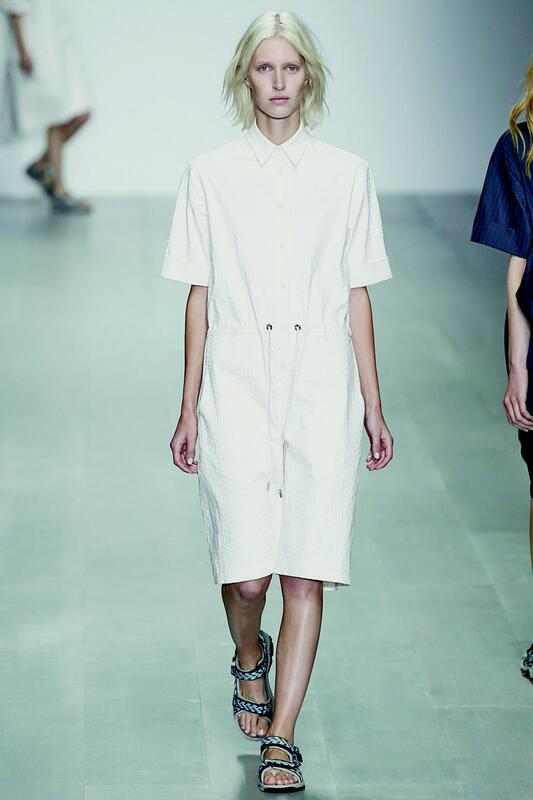 Full-on white ensembles were seen at the likes of Amanda Wakeley, Mulberry, Topshop and Margaret Howell. Although white was a popular choice for some, colour soaked through in other collections. Shades of blue in cyan, cornflower and cerulean were seen at Jonathan Saunders, Christopher Kane and Matthew Williamson, while pillarbox reds, which were popular on the New York catwalks, were also prime. Despite the ranges spring collections autumnal shades of ochre, sienna, olive, khaki and maroon were rife. Pinks, however, were the winners in the colour stakes in a range of hues from bubblegum to coral and magenta. Pastel pinks and blush tones have already proved popular in the world of bridal and so these brighter shades seen on the catwalk could certainly transfer well to bridesmaids and occasionwear. For footwear it seems the days of towering high heels have gone and it is out with the platforms and in with the pumps. Flat shoes were seen across the shows from sneakers and sandals to boots and brogues. With comfort now reigning supreme over style we may find brides and their maids now looking for stylish sandals, beautiful ballet flats and fancy flip flops to skip down the aisle in. 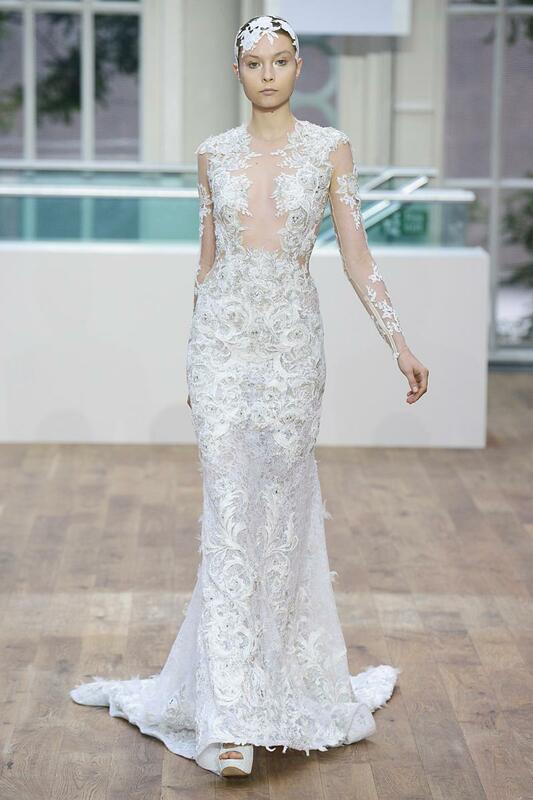 Julien Macdonald presented a bridal gown on the catwalk for the first time worth more than £4m. The dress, which was covered in real diamonds and freshwater pearls, was inspired by mermaids, said the designer.